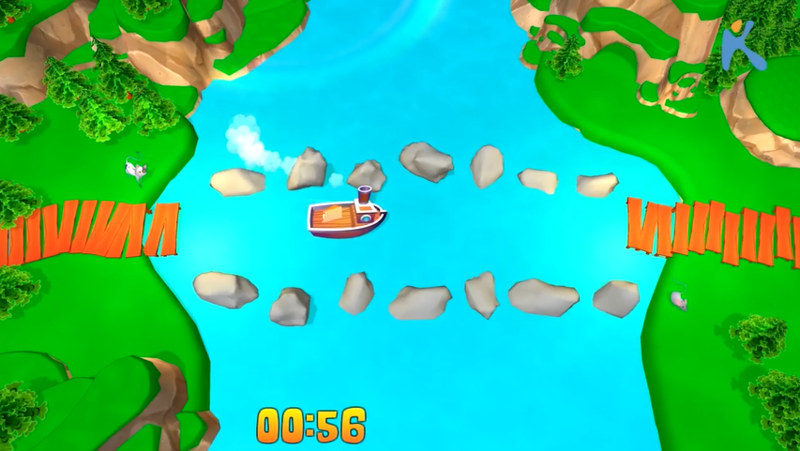 In the “River Crossing” game, the child undertakes the task to lead a boat in a river and transfers animals and items of the food chain from one shore to the other. The child should be very careful so as not to crash the boat on rocks that exist. The child can improve the visual-kinetic coordination and the grapho-kinetic skills. At cognitive level, the child could be asked to solve river crossing puzzle with various combinations of items from the food chain thus promoting both critical thinking and understanding of how the food chain works.